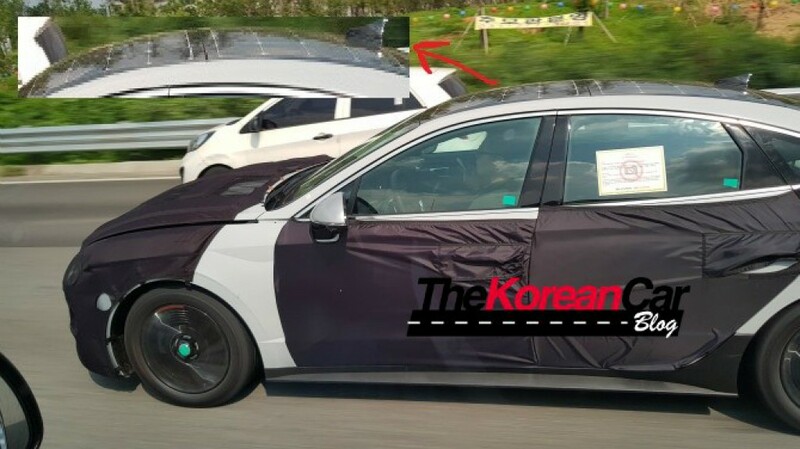 A set of new spy images of the 2020 Hyundai Sonata surfaced online shows the sedan equipped with a solar panel roof. This isn’t the first time that the car has been equipped with a solar panel roof. Almost a decade ago, in 2009, Toyota surprised the world by the use of solar panels in the third generation Prius. The Kyocera-sourced Solar panels on the moonroof of the Prius generated enough energy to power the car’s ventilation system. In 2016, the fourth generation Prius came with a solar roof that extended the pure-electric driving range of the plug-in hybrid. It now looks like Hyundai’s turn to benefit from having solar panels on the roof of the next generation Sonata. In all probability, the hybrid and the plug-in hybrid variants of the 2020 Hyundai Sonata will feature a solar panel roof. 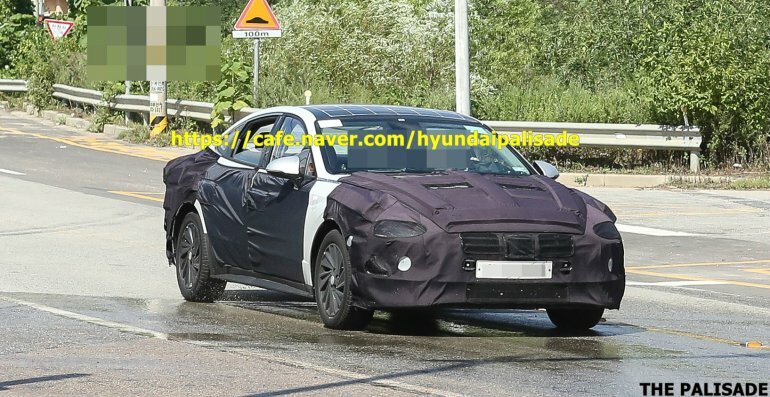 The test mule that has been spotted has an aerodynamics-focussed wheel design, which means the car is running on an electric powertrain. The Solar panel roof can help the plug-in hybrid variant of the next-gen Sonata to have a 50 km pure electric range. The design of the 2020 Hyundai Sonata will be based on the company’s Sensuous Sportiness design language that was previewed by the Hyundai Le Fil Rouge (HDC-1) concept. This will make the car look much more modern and sleeker than the outgoing generation. The interior will be more modern, too, and will have many screens and creature comforts. The current Sonata gets a wide range of petrol engine options, ranging from 1.6-litre to 2.4-litre, and a 1.7-litre diesel engine option. The 2020 Hyundai Sonata will get the 2.0 turbo petrol motor and a new 1.6-litre U3 CRDi diesel engine from the Hyundai Tucson, Kia Optima and Kia. Details on the hybrid variants aren’t available at the moment. The 2020 Hyundai Sonata is likely to hit the dealerships in the second half of 2019. It doesn’t look like the new model would make it to India.